Whenever Reynolds is mentioned, the words “Boss”, “Frontside Flips” and “Legendary” are thrown into the mix as well. But this time, we’re not here to spice up how amazing Reynolds’s frontside flips are, argue about which part he dropped was the best, or talk about how influential Baker 3 was for the generation of skaters reading this sentence. Instead, we want to delve into the impactful history of his long seasoned line of shoe drops. If you were like us growing up, you probably never threw out any of the skate shoes you owned, no matter how battered and torn up they were, just because the shoe represented that special time period where pro models were actually revered. Right off the bat in 1998, the Reynolds 1’s design, look, and technology was set in stone as an iconic piece of skate shoe history, especially since the advertisement campaign was Andrew’s part in The End. 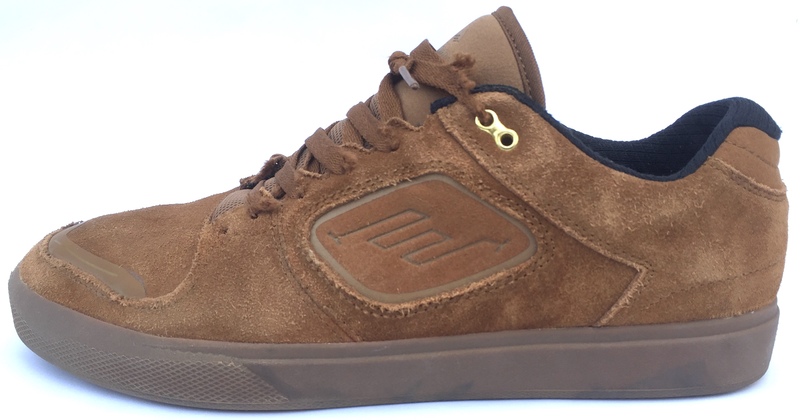 This was a shoe tested to withstand skateboarding’s harshest elements, and if the added in airbag protected Reynolds well when jumping down huge sets, the average consumer had no problem skating a pair til the end of time. Yet, after 4 years, the Reynolds 1 was adapted into the Reynolds 2; it was slimmed down a bit, but had more cushioning and was an equally iconic shoe that had all the middle school groms asking their parents to buy a pair just in time for the first day of school. Fast-forward a couple years and the Reynolds 3 maintains a similar iconic upper, but is situated on a vulcanized outsole. 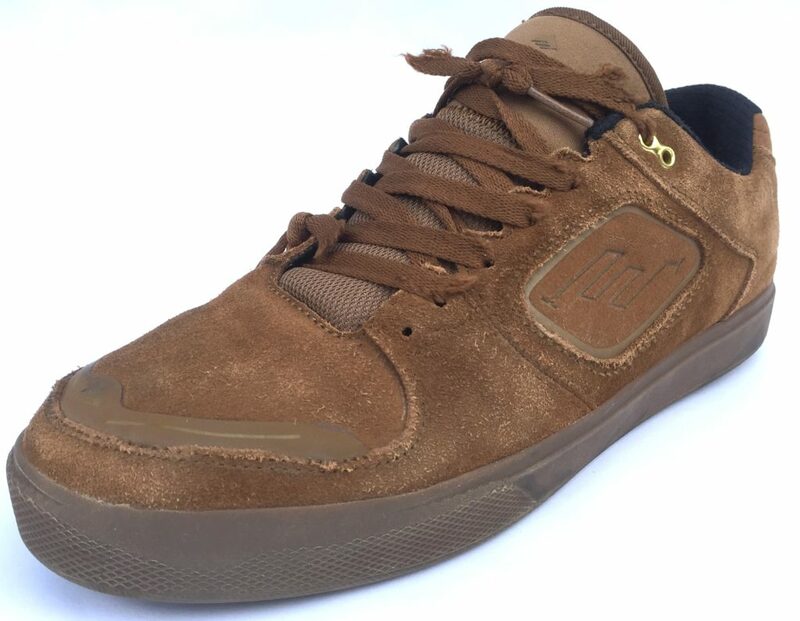 The shoes were amazing to skate in, because it also featured just enough cushioning (for a vulc) to handle big impacts…but that wasn’t the only reason these shoes were flying off the shelves and appearing on every high school skater kid’s feet. The Reynolds 3 had the iconic diamond earring that came with every pair and sat right in the upper eyelet of the shoe; kids in high school during the era of shoelace belts and Terry Kennedy full zip up hoodies were snatching these Reynolds 3s up and making sure to have the bling in when they headed out to skate. From then on, the Reynolds collection just went off with new design features, names and advertisements. But the past few months at Weartested, we’ve been enjoying the newest Reynolds G6 model that takes a little bit of inspiration from all the previous models mentioned above. We’re hyped to tell you guys how it did during our weartest, read on below! The Emerica Reynolds G6 fits true to size. There’s no doubt about it, the Emerica Higher Quality slogan resonates strongly when it comes to durability; the durability of the shoe remained very good all throughout our ten hours of skating. The toe area of the shoe was the most impressive. Although there were a lot of attacks points from grip tape, the construction of the toe featured not only double stitching around the toe panel, but also a thermal welded hot melt that helped bond the panels together. Even with a few points of stitching torn apart, the hot melt ensured that the toe held it’s structure and durability throughout our weartest. The sidewalls didn’t have much wear to them, which happens a lot with other shoes from ollies and heelflips. The sole was in good condition as well, with no blow out spots or instant smearing of the rubber. With that said, the laces did rip apart quite fast, which isn’t the biggest deal since most shoes face that problem. But if the laces were positioned higher and away from the usual attacking points, the lifespan would be increased and be a good design feature to elevate the durability features. At first glace, the Emerica Reynolds G6 pays a bit of nostalgic tribute to the Reynolds 1 and 2, which we all know were quite bulky shoes as the 90’s ended and 00’s began. As time passed on, the overall shape of the shoe became slimmer to better fit the trends and progression of skateboarding. But now, the Reynolds G6 design knows where to put the bulk and where to leave it slim, thus creating the perfect balance between a puffy and slim shape. The shape of the shoe tapers off a bit near the toe area, making it pointier than round. The actually quality of the shape was impressive. 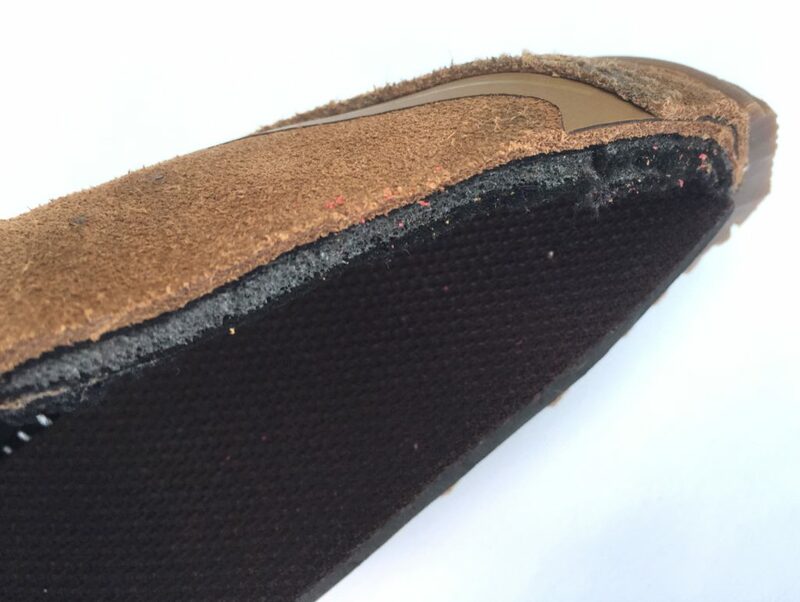 Since there was a bit of padding near the sidewalls, we initially thought that the shape of the shoe would falter and become soft from excessive wear. Yet, during our weartest, the whole shoe held up quite strongly, and did not become soft at all. The reinforcement in the sidewalls was designed to hold up the structure no matter how much the shoe would bend and twist, but also provided a bit of protection as well. The heel area topped it off, since it featured a bit more cushioning that helped lock in the heel for a good fit. As a cupsole model, the Reynolds G6 was designed to have cushioning as a top priority. It features a “pour in” poly-urethane G6 midsole, which in its manufacturing process, involves the actual PU foam in a liquid state being poured on top of the cupsole. This helps the foam mold better to the actual sole and maximizes the shoe’s cushioning effect from hard impacts. While this sounds nice and fancy, when it came to the actual weartest, the cushioning was good, but didn’t impress us that much. The toe area of the shoe was actually quite thin compared to other G6 models, so boardfeel shined more than the actual cushioning. The heel area is usually where the most cushioning will be centered on since heel bruising is a common injury for those who like skating sets. The G6 midsole performed well in that area when it came to hucking down gaps and sets, but still left us feeling like there could have been a bit more. The midfoot cushioning was nice and balanced; there was an adequate amount of cushioning there that left enough room for boardfeel so skating hubbas or ledges was extremely comfortable. With that said, this is Reynold’s shoe, so we’re sure that the G6 cushioning technology was meant to be a technical highlight that was suitable for small to mid gaps. Now as a cupsole model, boardfeel is usually compromised due to a bigger focus on cushioning, and not the highlight of the shoe. As we mentioned earlier, the toe area of the shoe lacked a bit of cushioning, but helped a lot when it came to boardfeel. Even though ledge skating was fine with the shoe, we still think that boardfeel was one of the weakest elements. The overall balance between cushioning and boardfeel was a bit off; it seemed that both elements were to be highlights, which proved to be more of a drawback than a convenience. The grip of the shoe was very good, the rubber composite used held up well during our weartest and provided a good abrasive flick. The sole of the shoe also featured Emerica’s fine sole tread pattern. This was a highlight since no blowout spots appeared and the grip of the sole proved to hold it down during the test. As a cupsole model, it is clear that the main focus of the shoe’s design feature is centered on cushioning. As a result, both boardfeel and grip were a bit sacrificed, and Emerica’s product line has better vulcanized models to choose from if you’re looking for a shoe that excels in boardfeel and grip . The Emerica Reynolds G6 is an extremely comfortable shoe. They put padding in all the right places and as a result, the shoe is comfortable and the feet are stabilized. The surface area of the sole is actually wider than the upper, so this creates a stable platform for the feet and decreases the probability of rolling your ankles. As aforementioned, the heel is well padded and creates a nice pocket for the back of your foot to be stabilized. The tongue of the shoe is also padded, so it works along with the heel tab to ensure the feet are well stabilized and prevents any slippage from occurring. Moreover, the tongue features side straps that help secure the feet even more. While the whole shoe’s breathability was average, there was one design feature that didn’t leave the notion of breathability behind. The sidewalls had no perforations for hot air to escape, but Emerica equipped their lycra-spandex tongue with perforations to allow heat escape from the dorsal side of your feet. This helped a lot and proved that the tongue was extremely pivotal in both the comfort and stability of the shoe. 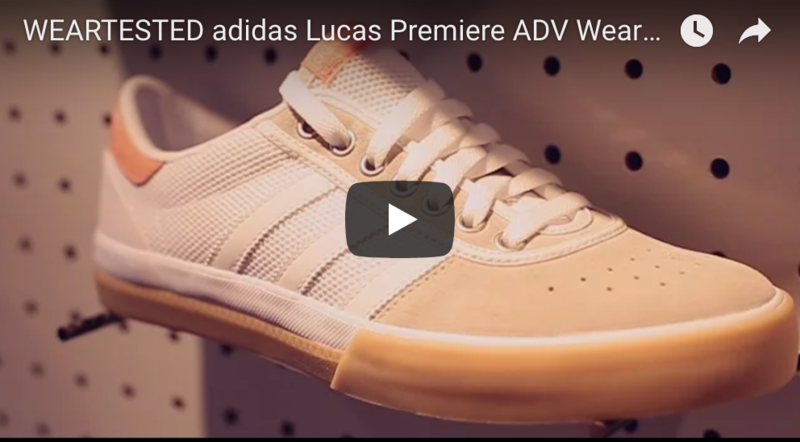 The Emerica Reynolds G6 is the newest model to be released under Reynold’s name, and features many top-notch technical design elements to handle present-day skateboarding. The shoe shines the most when it comes to its durability, shape, comfort and stability, but could use more attention to its boardfeel-cushioning balance.